Located in the city centre, La Riua is a family establishment that serves authentic Valencian fare. As you step into the restaurant, you’ll notice the gorgeous ceramic plates that cover the walls. Try the arroz a banda and the rabbit and chicken paella. This atmospheric restaurant is situated in the El Cabanal neighbourhood near the port area. Valencians have been eating at Casa Montana for more than a century and it’s not hard to see why. The atmosphere is casual and jovial – guests are packed together at large wooden tables. Try the wafer-thin cured meats, anchovies, marinated tuna, grilled sardines and the divine patatas bravas. Oh, Casa Montana also serves over 1,300 types of wine, with more than 20,000 bottles in the cellar! 🙂 To cap off a wonderful meal, ask the waiter for their chocolate truffles. They’re simply heavenly! This beautiful restaurant is situated in the historic centre of Valencia. Sagardi comprises two floors where guests can have a casual meal at the counter (downstairs) or a more formal meal in the dining area (upstairs). Whatever you decide, don’t miss the grilled meats! The steaks are absolutely delicious. This beach-side restaurant is popular with families, especially in the weekends. Sit outside in the cool shade and enjoy the stunning views of the boulevard, the beach and the Mediterranean sea. La Ferradura is famous for its Valencian specialties which include a variety of rice (arroz) dishes and grilled seafood. This is an impressive Michelin-star restaurant with a stunning view of Valencia’s City of Arts & Sciences on one side and the port of Valencia on the other. The interior of Vertical is contemporary chic and the food likewise. The gastronomic tasting menu was full of surprises, my favourites being the shellfish platter (we were provided with funky-looking tweezers to eat it) and the boiled egg on hummus in a mushroom broth. 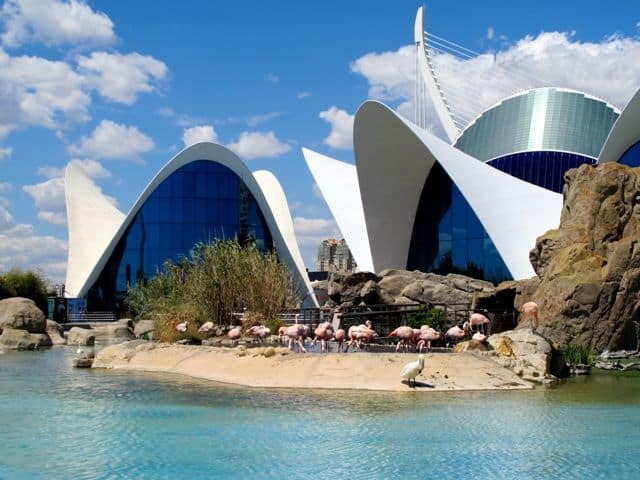 Search for hotels in Valencia. Note: my trips to Valencia were sponsored by the Land of Valencia. I cannot believe I did not check out your site before heading there! I may have to make a side trip back just to try some of these restaurants. W.O.W.!!!! I envy you…Food is my weakness! The paella looks especially yummy!